After I finished my MVP montage back when he dropped out of Code A against soO I promied I'd make a Foxer highlight video since MKP's been my single favorite player forever and I indeed started working on gathering all the footage needed sometime in August. I started working on it but now that MarineKing retired I was in a deep shock. I decided to make an MKP highlight video instead of one which would have been solely focused on MKP's Open Season 2. I'm certainly no god at video editing but I tried my best and I'm happy with the result, I think it pretty much shows why MKP was the only player I could ever love and cheer for. He is the only one in my heart forever. My favorite player ever, gone, to a game i know nothing about and have never watched. Oh, the hardships of being a fan. nice job, long live the king! Thanks for the video, man. Kind of made me choke up a bit, such good memories with MKP. Feels like kind of a missed opportunity. Anyway, good job on the video. Eh, video highlights the player who we all love . The micro machine, but the very human and emotional player. it's fine to show his emotional side since it's the complete picture but at least started out with some more of his amazing games before showing him devastated against Nestea. His games against fruitdealer, kyrix etc... those were the opening chapter for MKP's career especially the win against fruitdealer was big. Unexpected and he 2-0'd him in RO16(as I recall) as well. I want to cry just thinking about MK being gone from starcraft. T_T THE MEMORIES WILL NEVER DIE! 1. 35s of staring at the word MarineKingPrime in the beginning. I fast forwarded. 3. Music is questionable...lacking energy and excitement. Damn watching this vid and some of the other MKP highlights, it made me really sad. 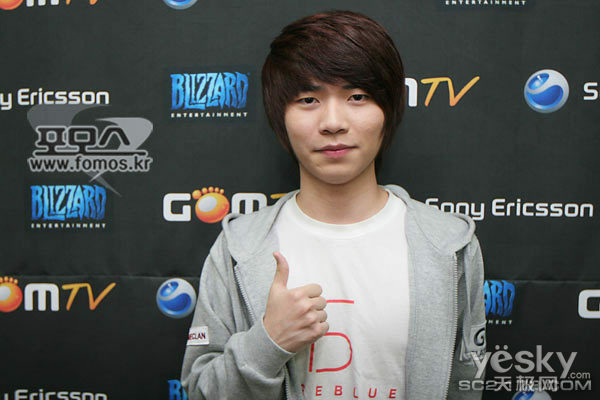 MKP made it so much fun watching SC2 or even playing it back in WoL. I remember everyone always referring to MKP when they played terran. The game won't be the same without MKP. MKP the one who showed everyone what Bio can do. I'll never forget him. Thank you so much for the video. It was a design decision, I rather wanted to focus on the player and his emotions than on his plays this time (opposed to the MVP video). I also didn't use any video for the 30s since I wanted the viewers to exactly focus on the audio, did you even realize that Tastosis was gonna talk or did you really just skip that?